Is there anything better than a jumpsuit? It's an instant outfit, no effort required. And they're not just a summer staple: we've got styles in for all types of weather. Are you in on this secret gem? These Last Tango jumpsuits are a bestseller that work for almost everybody. Try it with sneakers and a denim jacket for a casual look, layered over a turtleneck with bold jewelry in the office, or with heels and sparkly accessories for night events. Velvet is everywhere for fall and winter this year, and it's no surprise: this lush material makes any piece look luxe. 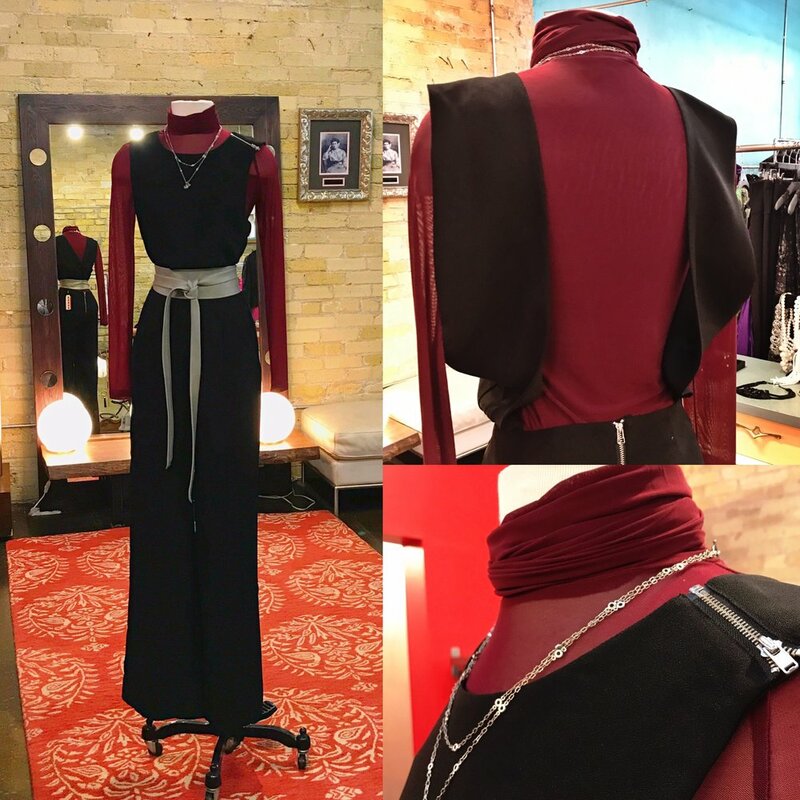 We just adore these velvet jumpsuits from Freesha in wine and steely blue! Even your backless summer favorites can make it into fall and winter with the power of layering! We are loving this mesh turtleneck (also in black and light grey). What do you think? Will you be rocking a jumpsuit this season? Let us know in the comment section below or on our Facebook page!